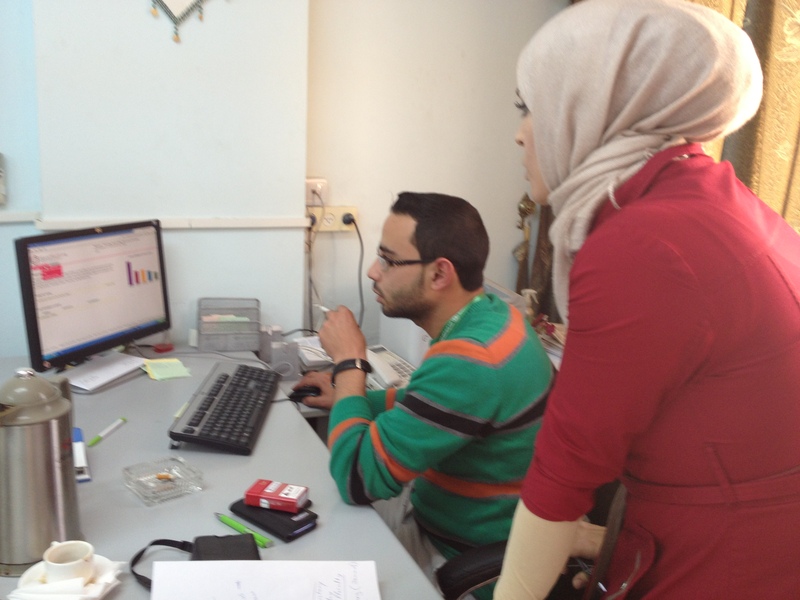 In order to provide our members with more interesting details about the recent partnership implemented with the Microfinance Institution ACAD (Arab Center for Agricultural Development) in Palestinian Territories; here is a great interview made by Elsa Wardé from our Operations Team introducing Abed AlRahem Melhem, one of the best local agent in ACAD. 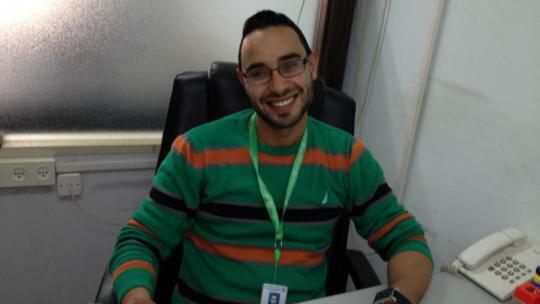 Smiling, energetic and ambitious, Abood (his nickname) explains his experience and the particularity of Islamic loans, with which he is specifically in charge in the agency of Jenin. What is your job at ACAD ? I’m working with three other loan officers and I work especially on Islamic loans but sometimes I deal with other kind of microloans. Why did you decide to oriente yourself in microfinance sector, what were the opportunities? Look, here in the Palestinian Territories, it is very difficult to find a job. Although microfinance is not my specialization, when such opportunity arises you say "this is an opportunity to start a new life! "(He smiles). Today I am very happy to work with ACAD! Plus I don't know if you saw on our website but I am one of the best employees in the company, I am currently the employee of the month since July 2012. Did you receive a training about Islamic loans? Yes I did thanks to ACAD, not specifically about Islamic loans but more about financial analysis, microfinance and production chain. Thanks to that I better understood the different stages of production. I’ve got the best portfolio among ACAD employees: 162 clients with a portfolio of 385 000 USD. On those 162 clients, what is the proportion of Islamic loans? 120 of them are Islamic loans. All of our Islamic loans are related to income-generating activities that's what I like about my job, it’s not consumption loans, we give a true support to our clients! Could you explain to someone who have no idea what Islamic loans are? Yes, according to the Coran it does not seem logical to pay more than the amount paid out. We work on the principle of Murabaha. ACAD have to obtain the desired product for the contractor. He must then reimburse ACA who purchase this product with an "interest rate" agreed in advance by both parties. Does Islamic loans involve consumer products? No, Islamic loans concern only projects of entrepreneurs who have income generating activities. We try to help these people through these loans! We receive many projects about grocery/supermarkets ideas for example. By the way, I don’t know if I already told you but both men and women can get an Islamic loan. Which sectors are proving to be more interested in Islamic loans? These loans are mainly requested in the sectors of agriculture, industry and trade. In general we accept all types of projects except constructions of houses for example, those projects require a lot of time, loans are longer to pay, we do not receive a return on the loan very quickly. Similarly, Islamic loans do not apply to vehicles, because of accident risks and the lender can sell it whenever he wants. Finally, we do not make loans for the purchase of a phone, the depreciation for these products is too quick. What are the conditions in order to get an Islamic loan? The entrepreneur’s project has to be less than 10 000 us dollars, have a maximum of 6 employees involved in the project and then to be considered vulnerable according to the scale of poverty in the country. Thank you so much for this interview, would you like to add something? Islam prohibits charging interest on loans of money, it is the riba. Indeed, the Koran rule states that the purchase, sale and trade are lawful, contrary to the interest or usury. So new solutions were found such as Murabaha.